An artist’s rendering of the Corona del Mar Entry Improvements. The new and improved entryway to Corona del Mar will soon be revealed. 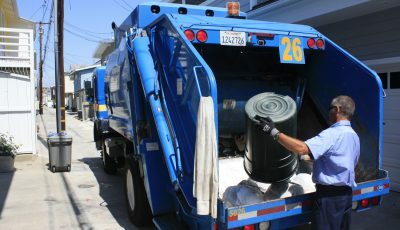 Construction on the CdM Entry Improvement project is expected to be completed by mid-May, according to Newport Beach city officials. 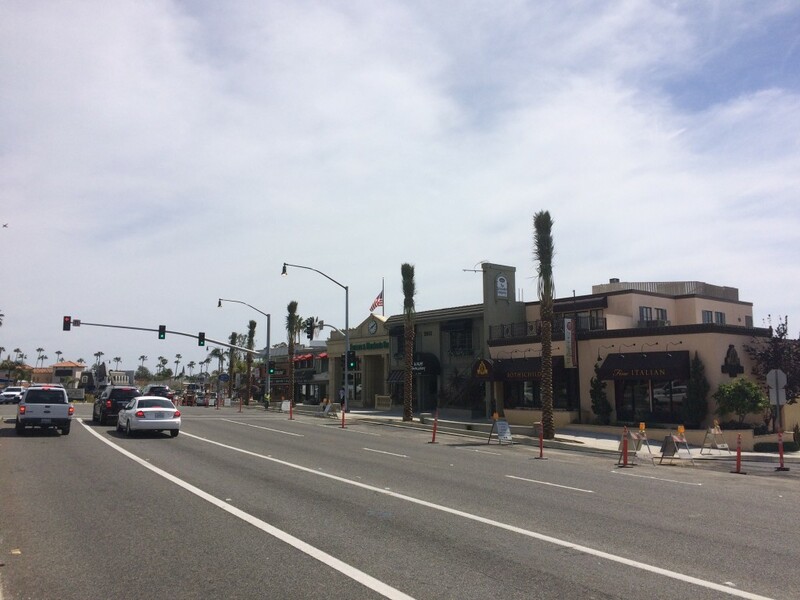 The focus of the project is to enhance the southbound entry point into the Corona del Mar community along E. Coast Highway, near the MacArthur Boulevard intersection, between Begonia Avenue and Carnation Avenue. Work is going very well, noted Deputy Public Works Director Mark Vukojevic. 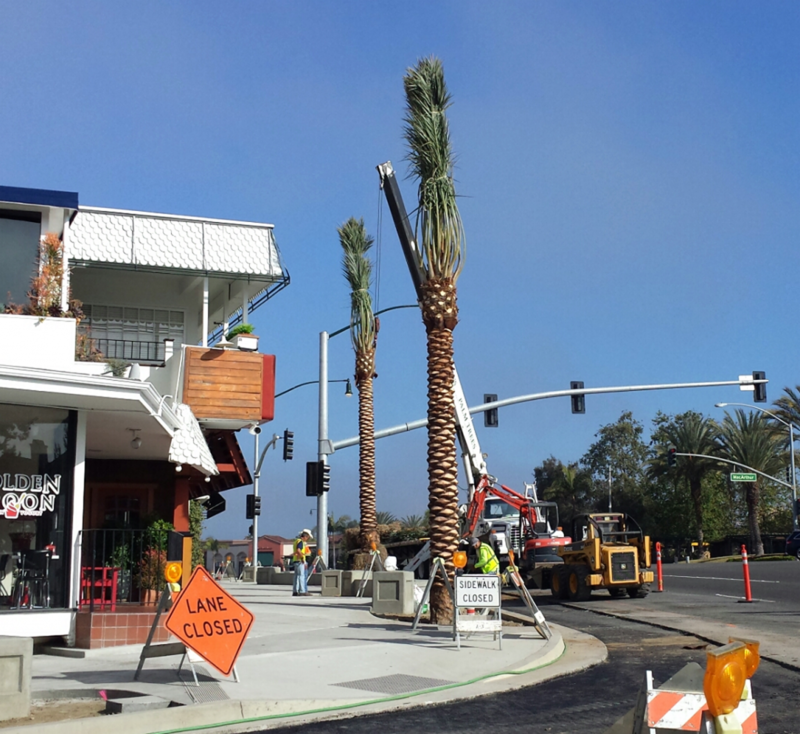 Palm trees are installed this week as part of the Corona del Mar Entry Improvement project. The project consists of widening the sidewalk to create a more pedestrian-friendly area and adding landscaping. The trees were installed this week and the next key tasks are the landscaping and roadway patching work, Vukojevic explained. Parking spaces were also moved from Coast Highway and added to Carnation. On Jan. 26, City Council approved a $497,497 contract for the work to All American Asphalt. 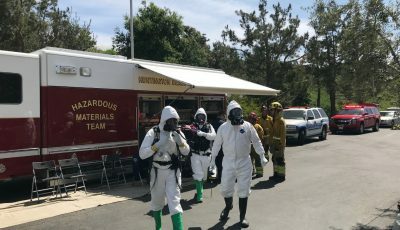 The contract also included a contingency allocation of $50,000 (10 percent) to cover the cost of unforeseen work not included in the original contract. The scope of work includes reconstruction of roadway, sidewalk, and enhancing the landscaping palette, according to city staff. 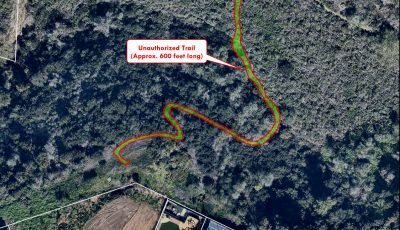 This includes connecting to the city’s existing irrigation system on PCH, relocating of a fire hydrant, and additional curb and sidewalk work along Carnation, all of which increased the initial cost estimate by about 9.5 percent. Council also approved project drawings and specifications. “The final plan is very similar to the original concept,” Vukojevic noted. 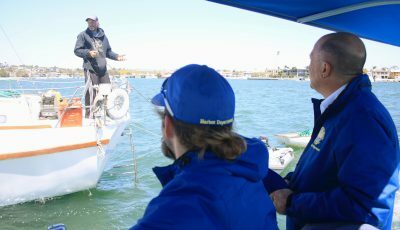 The project has been discussed at numerous community, CdM Business Improvement District and CdM Residents Association meetings over the past few years. Construction on E. Coast Highway as part of the work for the Corona del Mar Entry Improvement project. A traffic study was conducted in summer and fall of 2012. Cones were placed on East Coast Highway near Carnation Avenue, blocking the third lane that merges into two on PCH. It simulated removing that lane for an expanded sidewalk and added landscaping. There was a strong resident backlash and council reviewed and rejected a plan in January 2013. Staff went back to the drawing board and came up with alternatives. Most residents that attended the meetings supported the idea of additional landscaping and increased sidewalk width to enhance the area and support bicycle, pedestrians and outdoor uses. Plans were developed with all of these considerations, including studies to address concerns with circulation, existing bicycle lane and potential loss of parking on the highway. Safety, parking, and traffic congestion at that intersection were both big concerns among residents at the meetings. 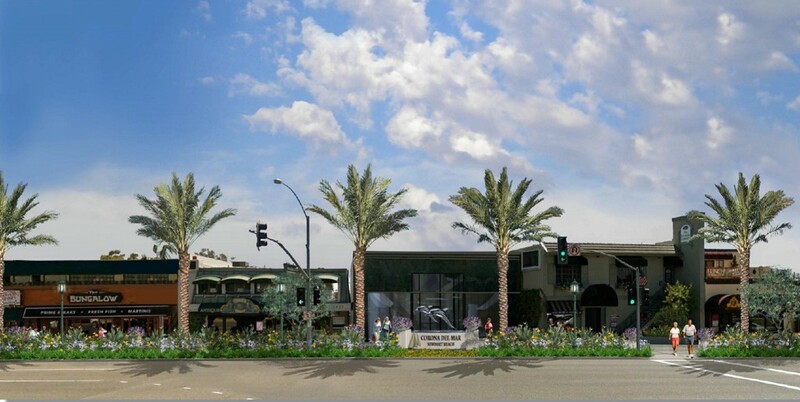 The Corona Del Mar Entry Plaza project was one of five strategic revitalization projects reviewed and developed to the concept plan level in the 2011-12 fiscal year. According to the city, this year’s effort will complete the necessary design of the reduced project footprint that eliminates the parking lane while still maintaining three thru lanes through the MacArthur intersection at East Coast Highway. 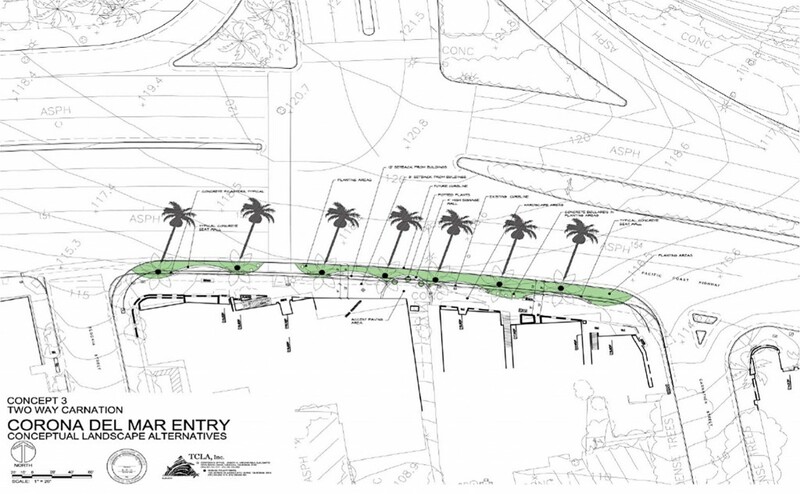 The conceptual drawing of the landscape plan for the CdM Entrway project.